Why Register for Our Website? Our goal this year is to collect more than 1 ton – in one night! We’ve done it before, and we’re determined to do it again. But we need your help. All donations will be delivered directly to The Food Bank of Waterloo Region for distribution to our neighbours in need. 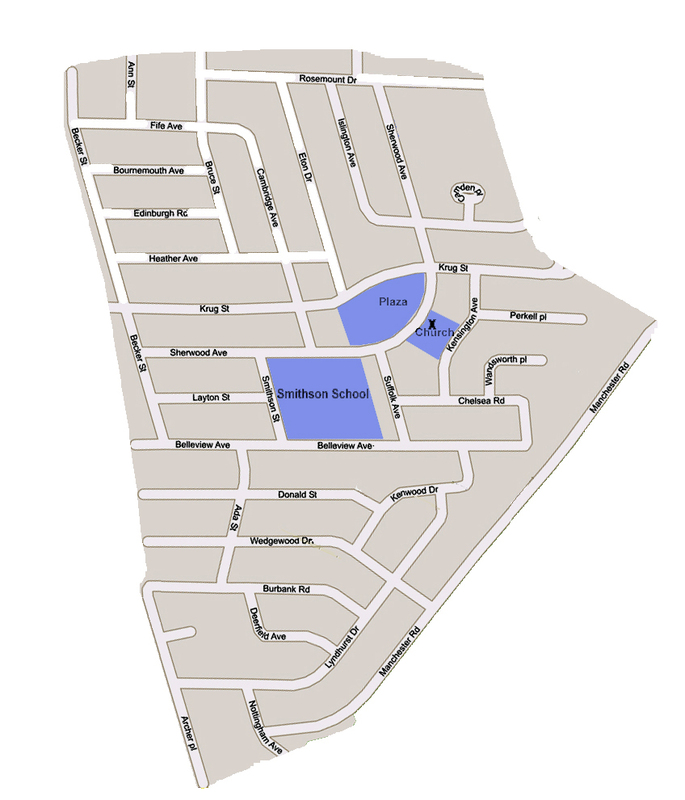 The map below shows the area we will cover shaded in blue. Monday, April 15th between 6pm and 9pm. Click the picture for all the information. This is a new camp location for our Troop but it is about the same travel time from Kitchener. 11:30am on Sunday, Jan 13, 2019. Allow 45 min – 1 hr travel time. 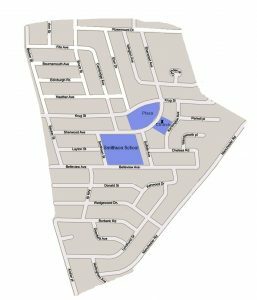 Where Mount Nemo is a 148 acre Scout Camp located 3 km north of Burlington, Ontario near the foot of the Niagara Escarpment. Transportation We will be carpooling from the church parking lot. Please indicate how you can help on the sign-up form. Accommodations Our cabin is heated. Toilets are of the outback ‘KYBO’ type. Meals Eat at home before coming to camp on Friday night. A snack will be provided before leaving the camp on Sunday. Youth will share the cooking of meals. No food is to be brought to camp by any youth. -be in the original container. -have explicit directions and boys’ name on the container. -not be packed in the boys’ gear. -be given directly to the LEADER by the PARENT on arrival at the church. Please complete this form EVEN IF YOU ARE NOT attending camp. You will be cooking your supper over a fire so Scouts don’t need to eat before you come. We will also be investing our new Scouts. The investiture ceremony will take place at 8:15. All parents, but especially those that have youth being invested, are welcome to witness the ceremony at 8:15. Full Uniforms are required for all but make sure that you are prepared for the weather. Our meeting will proceed rain or shine so be prepared to be outside, with your uniform underneath appropriate outerwear, regardless of the weather. If it is really foul at 6:15pm, your leadership team will decide whether we change the location to the church. Please remember that Scouts do “Camp in the Rain”. 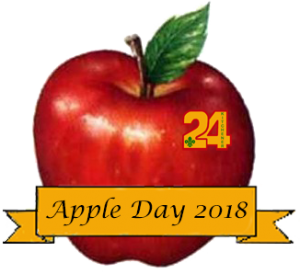 Be Sure to check the Apple Day 2018 information available here! Don’t forget to sign up. capture more information up front. As we have moved to a new process to help streamline subsidy requests, this email address is no longer being monitored. We apologize for any inconvenience and appreciate your cooperation. 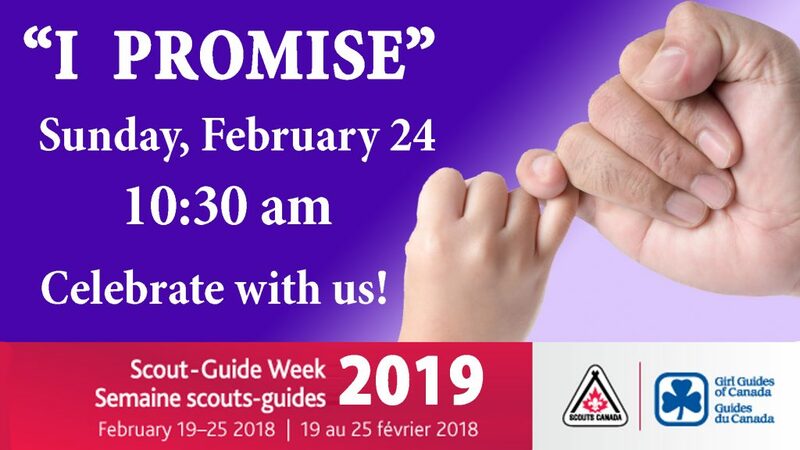 go to http://24th.ca and select the “Submit a Scouts Canada Request … “ link at the bottom of the page. It will take you directly to the “Submit a Request” form. And here are some thoughts from a person born before these leaders. Perhaps we should recognise that by being in service to Scouting, we are passing that on and showing by force of example a path to the youth’s own happiness. May 11 – 13, 2018. Although Scouting does not condone absence from school for events, we feel that this weekend’s experience is worth a ½ day off. This will allow us to get set up in daylight and have the evening to meet other Scouts and familiarize ourselves with the site. All drivers and Scouts (in FULL uniform) should be at St. James’-Rosemount United Church by 12:30 PM on Friday, May 11, 2018 for roll call and packing. If you are unable to get the afternoon off school, arrangements can be made to meet us for supper at Dorchester. The cost for the weekend is $75.00. This includes the Camp registration, a Camp Crest, meals, camp supplies. There is a tuck shop and a souvenir shop on site if you wish but spending money is at your discretion. Please Remit on Monday, May 7, 2018. The camp requires a Physical Fitness form be on file in the camp office for every participant as well as a copy with the leader. These will be returned to us at the end of the camp and be subsequently destroyed. Please complete the form which can be found here. Return with your payment on Monday, May 7, 2018. Printer Friendly Packing lists are found in the Scout > Camp Packing Lists section. We will travel by car to Dorchester. Parental help will be required for transportation of youth and possibly gear. Your meals will be planned, prepared and eaten as a Troop. There will be a duty roster so that everyone has an opportunity to help prepare and clean up. We will camp as a Troop. We will provide sufficient 2-3 man tents for our youth. Our site is likely to be very cramped so care will have to be taken when moving about the campsite. We will also have a large dining shelter for meal prep and shelter. 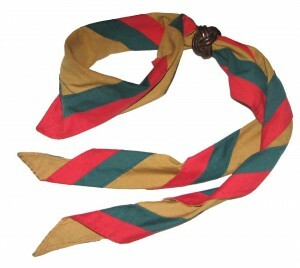 Badge Trading is a great way to meet other Scouts from other areas. Be Prepared! There is lots of opportunity to trade badges with fellow Scouts so you may want to bring a supply of traders. There is a long list of over 100 awesome events to choose from. Each Patrol will decide which events they wish to do as a Patrol and must participate in the events as a Patrol. Check out the list – DIBC – Events . Before going to the sign up form, Please make sure that you have familiarized yourself and your parents with the information on this page and at the relevant links. In the evening of April 18, 2018 a session was held to help parents with with the procedure for online registration. There are no more paper registration applications and the accompanying paper registration process; all is to be done online. Chick HERE to link to the PowerPoint presentation. The links in the presentation that point to documents and help are long, so, links have been added at the bottom of this page to facilitate your access. Come on out to any of our regular meetings to see what we are about OR Contact Us!